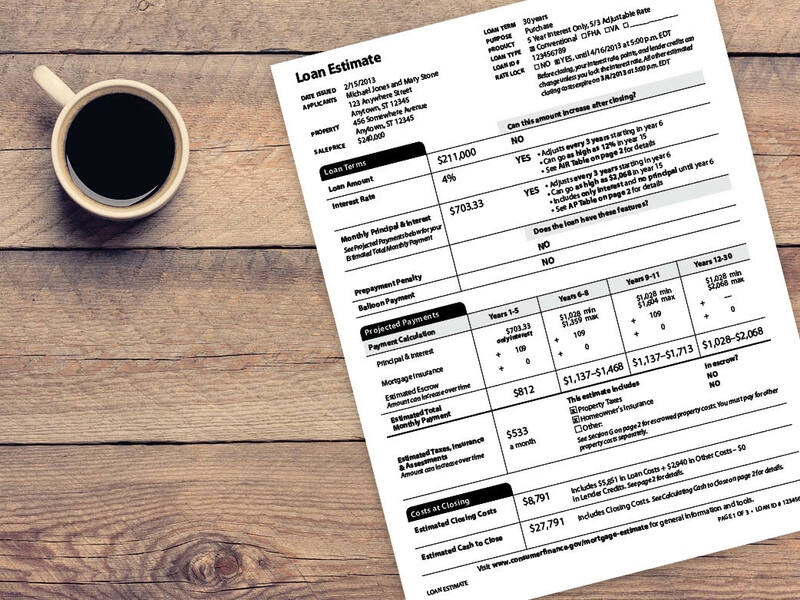 The Loan Estimate is one of the new TRID (TILA-RESPA Integrated) disclosures that will take effect this fall with the implementation of the CFPB’s Know Before You Owe rule. The goal of the Loan Estimate is to help borrowers better understand the costs associated with buying a home. The Loan Estimate is provided to borrowers within three business days of applying for a mortgage loan and must arrive at least one day before you receive your Closing Disclosure. The Loan Estimate will combine two forms that are in use now – the early Truth-in-Lending form and the Good Faith Estimate. Confusion will be reduced by combining and simplifying the required disclosure information into one form. What Information is on Loan Estimate? As stated, borrowers will receive the Loan Estimate within three business days of applying for a mortgage loan. During the course of the loan process, if certain costs on your Loan Estimate change significantly, you will receive a revised Loan Estimate. Items that could trigger a revised loan estimate include: costs changing more than allowable limits, your interest rate is locked in, and your loan loan amount or loan program changes. We encourage you to save the Loan Estimate and compare it against the Closing Disclosure document that you will receive three business days before your settlement (closing). The CFPB recently proposed that the implementation of the new disclosures and regulations be delayed for two months. Instead of August 1, 2015, the CFPB has proposed that the effective date for TRID be moved to October 3, 2015 – see the CFPB news release here. While that date may seem far away, Realtors, lenders and Settlement Service providers must adjust their systems and processes to adhere with new rules. Please check back here often for more information on TRID disclosures, rules, pending changes and implementation dates. As always, our goal is to provide our borrowers and business partners with exceptional lending services – preparing our partners and borrowers for TRID will help ensure a smooth transition for all involved. Please do not hesitate to ask a question – email info@inlanta.com for more information or find a loan officer near you using our branch locator. TRID stands for TILA-RESPA Integrated Disclosure. TILA stands for Truth in Lending Act, and RESPA stands for the Real Estate Settlement Procedures Act. That still doesn’t answer your question, does it? So, what is TRID? TRID refers to the new integrated disclosures for real estate transactions implemented by the Consumer Finance Protection Bureau (CFPB). On August 1st of 2015, the CFPB is consolidating existing mortgage disclosures from four forms, to two forms. The CFPB is integrating the Good Faith Estimate (GFE) and Early Truth in Lending (TIL) into one document called the Loan Estimate (LE). 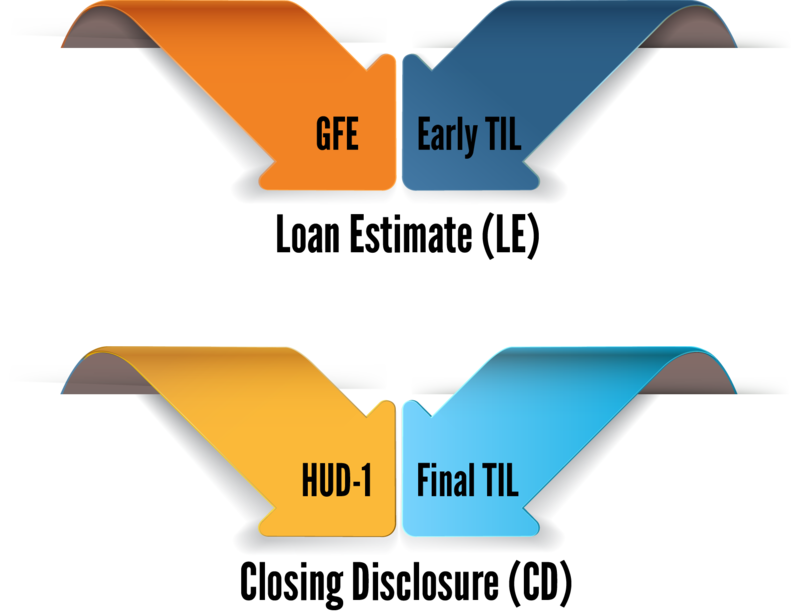 The HUD-1 and Final TIL will be integrated into one document called the Closing Disclosure (CD). UPDATE as of 6/25/2015: The CFPB will be issuing a proposed amendment to delay the effective date of the TRID until October 3, 2015. Review the CFPB news release here. The newly created TRID disclosures will apply to most closed-end consumer loans for which an application is received on or after August 1st. UPDATE as of 6/25/2015: The CFPB will be issuing a proposed amendment to delay the effective date of the TRID until October 3, 2015. Review the CFPB news release here. TRID will reduce paper work and consumer confusion by using clear language meant to help consumers better understand the complicated mortgage loan process. The new forms will highlight information that consumers have indicated are most important including: interest rate, monthly payment and total closing costs. TRID will also provide more information on the cost of taxes and insurance and how interest rate and payments may change in the future. The TRID will also make cost estimates consumers received for services required to close the loan more reliable and require mortgage lenders to provide the CD three business days before closing on mortgage loans. 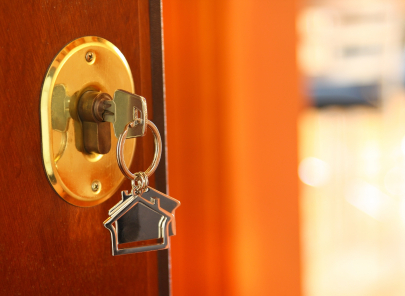 Visit the CFPB website to read What the new simplified mortgage disclosures mean for consumers. One aspect of the new integrated disclosures rules that will affect Realtors is that there are new time-sensitive delivery requirements for Closing Disclosures. The consumer must receive the Closing Disclosure a minimum of three business days before closing (date note is signed). 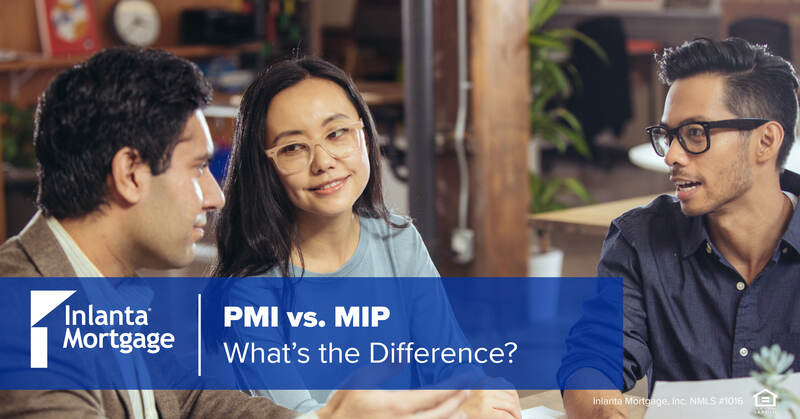 In addition, there are certain changes to the loan file that can require a re-disclosure and a new 3-day minimum waiting period – changes to APR, loan product or the addition of pre-payment penalties are examples. Watch this video posted on the National Association of Realtors website: TRID Changes Coming. We are here to help if you have further questions. Please email info@inlanta.com if you have specific questions about TRID and its implementation. Inlanta Mortgage was recently named a Top Mortgage Lender in 2013 as well as 2012 by Scotsman Guide. Inlanta was named a Top Workplace in 2014 as well as in 2012. Inlanta has also been named one of the “Top 100 Mortgage Companies in America” in 2011, 2012 and 2013 and one of the 50 Best Companies to Work For by Mortgage Executive Magazine. Are you ready to become a home owner? There are three major types of loans to consider. Watch a quick video on on adjustable rate mortgages, 15-year fixed rate mortgages, 30-year fixed rate mortgages to learn more! In addition to the fixed or adjustable rate mortgage options, a licensed Inlanta Mortgage loan officer can help you determine which specific loan program is best for your situation. Inlanta offers a number of loan programs including no down payment USDA financing, VA financing, conventional loans, and FHA loans. In addition, Inlanta offers renovation/rehabilitation loan options and the new low down payment options available from Freddie Mac and Fannie Mae (Home Possible® & MyCommunityMortgage®). Use our branch locator to find an Inlanta Mortgage loan officer near you, or simply apply online and we will find one for you. Inlanta Mortgage was named a Top Mortgage Lender in 2013 as well as 2012 by Scotsman Guide and a Top Workplace by the Milwaukee Journal Sentinel in 2014 as well as in 2012. Inlanta has also been named one of the “Top 100 Mortgage Companies in America” in 2011, 2012 and 2013 and one of the 50 Best Companies to Work For according to Mortgage Executive Magazine. Inlanta Mortgage, Inc. NMLS #1016, MyCommunityMortgage® is a registered trademark of Fannie Mae, HomePossible® is a registered trademark of Freddie Mac. Are you ready to buy a home? What type of loan do you choose? The most common type of loan is the 30-year fixed rate mortgage loan. Watch this video to learn more and call a licensed Inlanta Mortgage loan officer to begin your free, no-obligation consultation. Use our branch locator to find a loan officer near you. In addition to the fixed or adjustable rate mortgage options, a licensed Inlanta Mortgage loan officer can help you determine which specific loan program is best for your situation. Inlanta offers a number of loan programs including no down payment USDA financing, VA financing, conventional loans, and FHA loans. In addition, Inlanta offers renovation/rehabilitation loan options and the new low down payment options available from Freddie Mac and Fannie Mae (Home Possible® & MyCommunityMortgage®). Contact an Inlanta Mortgage loan officer to learn more about these unique financing options. Inlanta Mortgage was recently named a Top Mortgage Lender in 2013 as well as 2012 by Scotsman Guide. Inlanta was also recently named a Top Workplace in 2014 as well as in 2012. Inlanta has also been named one of the “Top 100 Mortgage Companies in America” in 2011, 2012 and 2013 and one of the 50 Best Companies to Work For by Mortgage Executive Magazine. Are you ready to become a home owner? 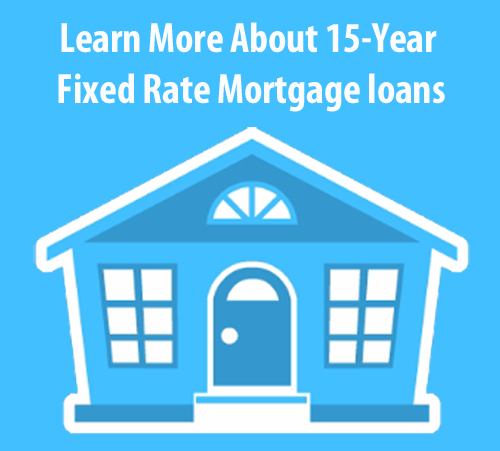 15-year fixed rate mortgages are an attractive option for borrowers who want to pay off a mortgage loan more quickly than the typical 30-year fixed rate mortgage. Watch this video to learn more. Interest rates are more favorable with 15-year fixed rate mortgages, but the qualification requirements may be more stringent. Contact an Inlanta loan officer to determine if a 15-year fixed rate mortgage is right for you. Use our branch locator to find a branch near you. Adjustable rate mortgages can sometimes be confusing. Unlike fixed rate mortgages, adjustable rate mortgages, or ARMs, come with interest rates that typically change with the market each year. 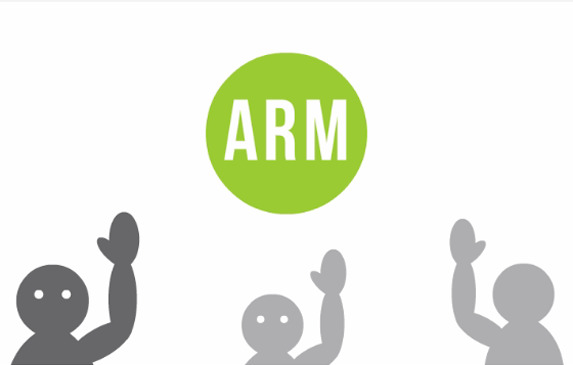 Most of the time, ARMs are lower than traditional rates. While fixed rate mortgage payments stay the same over the life of the mortgage loan, if rates go down, adjustable rate mortgage payments go down. However, if rates go up, your adjustable rate mortgage payment could go up. That volatility may not work for some people. Contact an Inlanta Mortgage loan officer for more information and to determine if an adjustable rate mortgage is for you. Inlanta offers a variety of loan programs and can help you determine which program is best suited for your unique financial situation. Contact a licensed loan officer near you, or simply apply online now. We will review your application and advise you on the best course of action. Inlanta Mortgage was recently named a Top Mortgage Lender in 2013 as well as 2012 by Scotsman Guide. Inlanta was also named a Top Workplace in 2014 as well as in 2012. Inlanta has also been named one of the “Top 100 Mortgage Companies in America” in 2011, 2012 and 2013 and one of the 50 Best Companies to Work For by Mortgage Executive Magazine. Inlanta Mortgage, Inc. NMLS# 1016. Loans subject to credit approval. Programs subject to change. In essence, qualified mortgages adhere to a set of guidelines designed to protect consumers from entering into a mortgage they can not repay. Most lenders, including Inlanta Mortgage, already comply with the Qualified Mortgage regulations and document a borrowers’ “Ability to Repay” a mortgage loan. What Else Should I Know About Qualified Mortgages? It’s important to note that the Qualified Mortgage regulations came about as a result of the housing market meltdown from which we are currently recovering. Before the meltdown, too many mortgages were made by unsavory lenders to consumers without regard to the borrowers’ ability to repay the loans. These new regulations were required by Congress, as a response to the financial crisis and nationwide foreclosure epidemic. What Does QM Mean To Me? 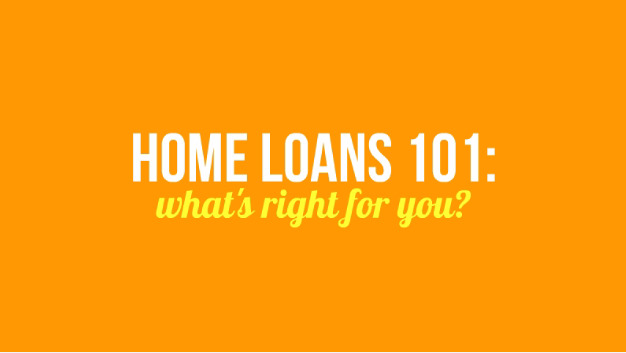 This is a great question and the answer depends upon your lender. As a mortgage banker, Inlanta offers more financing options than other types of lenders. As a mortgage banker Inlanta has the ability to deliver/sell loans to multiple investors with varying guidelines. For example, the maximum debt-to-income (DTI) is set at 43% except in cases where the borrower qualifies with agency automated underwriting approval. Since VA, FHA, Fannie Mae and Freddie Mac are exempt from this specific restriction with automated underwriting approvals – only lenders with access to these agency products can offer mortgage loans that exceed the 43% DTI maximums. Not all lenders have access to VA, FHA, Fannie Mae or Freddie Mac mortgage products. The Consumer Finance Protection Bureau (CFPB) has posted a wealth of information on the new Qualified Mortgage regulations. Most recently, the CFPB published Fact vs. Fiction, a paper that addresses some of the myths that are being pushed around on the internet. For more heavy reading, you can review the Summary of the Ability-to-Repay Qualified Mortgage Rules and the Concurrent Proposal here. Contact a licensed mortgage loan officer at Inlanta Mortgage for more information. Use our branch locator to find a professional near you. Realtors across the country welcomed news from the Federal Housing Finance Agency (FHFA) last week that current conforming loan limits will remain in effect until further notice. Mortgage and real estate professionals have been debating how an increase might affect the market for months. If the FHFA would have reduced the loan limits for Fannie and Freddie loans, borrowers might have been forced into higher-priced loans, aka jumbo loans, which contain higher rates and higher associated fees. A conforming loan limit is the maximum size for loans that can be purchased by government-sponsored enterprises Fannie Mae or Freddie Mac. Maximum conforming loan limits for mortgages acquired by Fannie Mae and Freddie Mac will remain at $417,000 for one-unit properties in most areas of the country. For a complete list of maximum conforming limits for 2014 click here (Excel document). 2014 high-cost area loan limits have increased for 18 counties due to a high-cost area adustment or moving into a high-cost area. The high-cost area loan limits are established for each county and published on Fannie Mae’s website here. Headquartered in Brookfield, Wis., Inlanta Mortgage was established in 1993. The company has grown to 30 branches in 16 states and over 220 employees. The company is an agency approved lender for Fannie Mae, FHA/VA, FHA 203K and USDA. 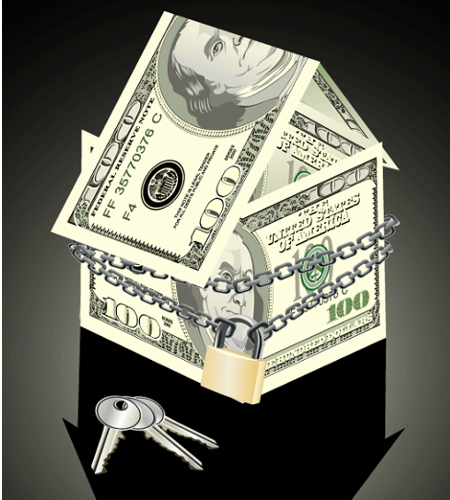 Inlanta Mortgage also offers numerous state bond agency programs. Recent news suggests that banks are abandoning mortgage pre-approvals even though they are an essential part of the home shopping and loan approval process. Don’t fret! You can still get your mortgage pre-approval and piece of mind from Inlanta Mortgage. Mortgage pre-approvals are written commitments that lenders give to home buyers that include the maximum size home loan they can get as well as the likely interest rate. Many buyers rely on pre-approvals to make sure they are shopping for a home within their price range. Since a pre-approval requires a credit check and asset and income verfication – home owners have a more realistic idea of what type of home they can afford. 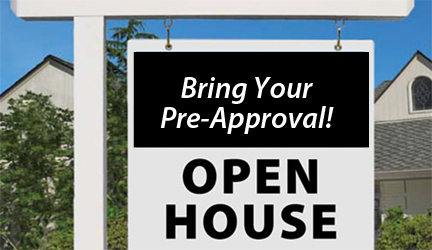 Sellers and Realtors® prefer to work with homebuyers that have pre-approval letters. Mortgage pre-approvals indicate to sellers that a prespective buyer is serious. Often times sellers won’t even consider your offer without a mortgage pre-approval letter from a licensed mortgage loan originator! Use our branch locator to find a licensed mortgage loan officer near you, or apply online now. If you apply online now, we will match you with a loan officer licensed to originate loans in your state. Begin gathering the required documents now to speed up the formal loan approval process!